^ Ferguson, Henry (1892). 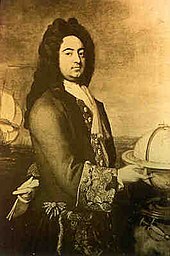 Sir Edmund Andros. Westchester County Historical Society. p. 1683. http://books.google.com/books?id=58sTAAAAYAAJ&printsec=frontcover&dq=Edmund+Andros&hl=en&sa=X&ei=JpwsT8rSCYTo0QGsyOHoCg&ved=0CDAQ6AEwAA#v=onepage&q&f=false. ^ Price, Benjamin Lewis (1999). Nursing fathers : American colonists' conception of English Protestant kingship; 1688–1776. Lanham [u.a. ]: Lexington Books. p. 69. ISBN 0-7391-0051-3. ^ King, H. Roger (1994). Cape Cod and Plymouth Colony in the Seventeenth Century. Lanham: University Press of America. pp. 263. http://books.google.com/books?id=i0QcnT_riDUC&pg=PA263&dq=andros's+taxes+in+plymouth&hl=en&sa=X&ei=k2VST6WYBunY0QGUyI3nDQ&ved=0CEkQ6AEwAA#v=onepage&q=andros's%20taxes%20in%20plymouth&f=false 2015年5月23日閲覧。. ^ A writ of intrusion could be issued to prevent unauthorized persons from entering land reverted from a deceased tenant-for-life to its owner. ^ Roscoe, Henry (1825). A Treatise on the Law of Actions Relating to Real Property. London: Joseph Butterworth and Son. pp. 95. http://books.google.com/books?id=Xu0GAAAAQAAJ&pg=PA92&dq=writ+of+intrusion&hl=en&sa=X&ei=uYdFT6TtKaj5sQLUmJDDDw&ved=0CDYQ6AEwAQ#v=onepage&q=writ%20of%20intrusion&f=false. ^ a b c Norton, Mary Beth (2003). In the Devil's Snare: The Salem Witchcraft Crisis of 1692 (1st Vintage Books ed. ed.). New York: Vintage Books. pp. 95. ISBN 0-375-70690-9. http://books.google.com/books?id=Y2ZeU1RMYK0C&pg=PA95&dq=edmund+andros+shipping+the+captives+to+boston&hl=en&sa=X&ei=1u4_T9yeK5O30QGuleXzBw&ved=0CDIQ6AEwAA#v=onepage&q=edmund%20andros%20shipping%20the%20captives%20to%20boston&f=false. ^ Drake, Samuel Adams (1879). Captain Nelson: A Romance of Colonial Days. New York: Harper and Brothers. http://books.google.com/books?id=Mv3HYPgf7HUC&pg=PA58&dq=edmund+andros+grumbled+about+taxes&hl=en&sa=X&ei=eLNGT73MEIGctwfw5LiGDg&ved=0CFoQ6AEwAw#v=onepage&q=edmund%20andros%20grumbled%20about%20taxes&f=false 2015年5月23日閲覧。. Brodhead, James (1871). History of the State of New York. New York: Harper & Brothers. OCLC 1383698. http://books.google.com/books?id=iNsTAAAAYAAJ&printsec=frontcover. Dunn, Randy (2007). “Patronage and Governance in Francis Nicholson's Empire”. English Atlantics Revisited (Montreal: McGill-Queens Press). ISBN 978-0-7735-3219-9. OCLC 429487739. Evans, James (1921). The Founding of New England. The Atlantic Monthly Press. http://archive.org/details/foundingnewengl02adamgoog. Ferguson, Henry (1894). Essays in American History: Sir Edmund Andros. New York: J. Pott. OCLC 3916490. http://books.google.com/books?id=gd4pAAAAYAAJ&pg=PA111#v=onepage&f=false. Fiske, John (1899). The Dutch and Quaker Colonies in America. Boston: Houghton, Mifflin. OCLC 423775. http://books.google.com/books?id=zAobAAAAYAAJ&pg=PA49#v=onepage&f=false. Kimball, Everett (1911). The Public Life of Joseph Dudley. New York: Longmans, Green. OCLC 1876620. http://books.google.com/books?id=gxIZAAAAYAAJ&printsec=frontcover&source=gbs_ge_summary_r&cad=0. Miller, Guy Howard (May 1968). 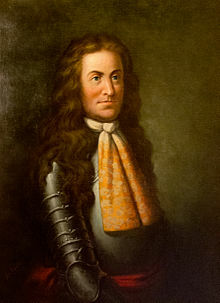 “Rebellion in Zion: The Overthrow of the Dominion of New England”. Historian (Volume 30 No. 3): pp. 439–459. Moore, Jacob Bailey (1851). Lives of the Governors of New Plymouth and Massachusetts Bay. Boston: C. D. Strong. OCLC 11362972. http://books.google.com/books?id=0ssDAAAAYAAJ&pg=PA403#v=onepage&f=false. Scharf, John Thomas (1879). History of Maryland. Baltimore, MD: J. B. Piet. OCLC 4663774. http://books.google.com/books?id=84EjAAAAMAAJ&pg=PA258#v=onepage&f=false. Stark, James Henry (1891). Stark's History and Guide to the Bahama Islands. Boston, MA: self-published. OCLC 1550866. http://books.google.com/books?id=qVy34cdbcPcC&printsec=frontcover. Whitmore, William Henry (ed). The Andros Tracts: Being a Collection of Pamphlets and Official Papers Issued During the Period Between the Overthrow of the Andros Government and the Establishment of the Second Charter of Massachusetts (1868–1874). Boston: The Prince Society. OCLC 1842576. http://books.google.com/books?id=ep0UAAAAYAAJ&pg=PR5#v=onepage&f=false. Low, Sidney James Mark (1885). "Andros, Edmund". Dictionary of National Biography (in English). 1. "Andros, Edmund" . Encyclopedia Americana. 1920. "Andros, Edmund" . Appletons' Cyclopædia of American Biography. 1900. "Andros, Sir Edmund" . Encyclopædia Britannica (in English) (11th ed.). 1911. "Andros, Sir Edmund" . The New Student's Reference Work . 1914. "Andros, Edmund" . The American Cyclopædia. 1879.